Graphene: it’s the atom-thin material that scientists believe has a ton of potential with its incredible strength and conductive properties. But it has a problem: it’s difficult to create perfect, unbroken sheets of graphene — however, scientists have found that even “defective” graphene can be incredibly useful. A graphene sheet can lose a lot of its strength with even the smallest imperfections, but if those imperfections are sized right, they can also make the sheet porous, allowing tiny protons to pass through or even large things like water pollutants, according to an NBC News report. Protons can be moved from one side to the other without allowing any of the molecules they come from to get through, according to the report, which could pave the way for fuel cells that pull power from hydrogen much faster than anything available today. And larger holes could sift out toxins and viruses from water. The study, performed by Franz Geiger of Northwestern University, was published in Nature Communications. There still isn’t enough graphene to satisfy demand due to the difficulty in producing the substance, but the study shows that graphene can be very useful, even in scrap or powder form. Graphene is an allotrope of carbon that creates a two-dimensional, hexagonal lattice at the atomic scale, and is the basic structural elements of substances such as graphite and charcoal. It is a whopping 100 times stronger than steel by weight, and it conducts electricity and heat better than copper. It is also nearly transparent. It was first produced in a lab on a measurable scale in 2003, and its properties immediately interested scientists. Two scientists at the University of Manchester wont he Nobel Prize in Physics in 2010 after conducting experiments with graphene. 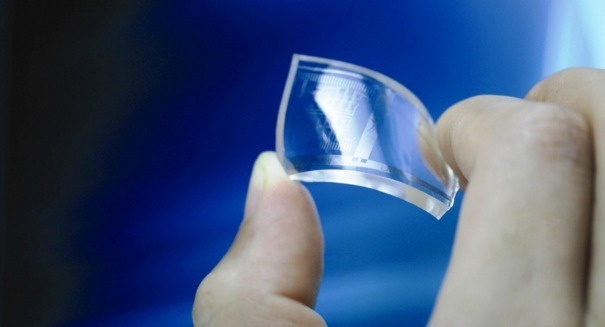 Already, the global market for graphene was $9 million in 2014, where it has been sold for use in semiconductors, electronics, and composites.